Pippa's Pride was a late scratching at 9.00am due to injury (GAR 23). A 10 day stand down period was imposed. Stewards will require a veterinary certificate before any future nomination will be accepted. A pre-race sample was taken from Will Dazzle. Sure Load was quick to begin. Will Dazzle and Joyce's Choice collided on the first turn. Will Dazzle checked off Screaming Oaks on the second turn checking Joyce's Choice. Hello Nimble raced wide entering the home straight. Lilty Allen marred Sure Load in the home straight checking Sure Load. Screaming Oaks marred Oriental Tarj approaching the winning post checking Oriental Tarj. Joyce's Choice was vetted following the event. It was reported that the greyhound sustained an abrasion to the right metacarpal and a spike wound to the left nostril. No stand down period was imposed. Screaming Oaks was vetted following the event. It was reported that the greyhound sustained a spike wound to the left hock area. No stand down period was imposed. Stewards spoke to Mrs. J. Mifsud, the trainer of the greyhound Screaming Oaks regarding the greyhound's racing manners approaching the winning post. Acting under GAR 69(1) stewards charged Screaming Oaks with marring. Mrs. Mifsud pleaded guilty to the charge, Screaming Oaks was found guilty and suspended for 28 days at Traralgon and it was directed that the greyhound perform a Satisfactory Trial (all tracks), pursuant to GAR 69(2)(a) before any future nomination will be accepted. Lilty Allen was vetted following the event. It was reported that there was no apparent injury found. 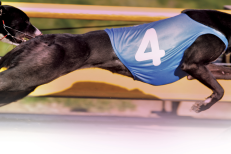 Stewards spoke to Ms. Tammy Kennedy-Harris, the representative of the greyhound Lilty Allen regarding the greyhound's racing manners in the home straight. Acting under GAR 69(1) stewards charged Lilty Allen with marring. 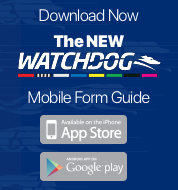 Ms. Kennedy Harris pleaded guilty to the charge, Lilty Allen was found guilty and suspended for 28 days at Traralgon and it was directed that the greyhound perform a Satisfactory Trial (all tracks), pursuant to GAR 69(2)(a) before any future nomination will be accepted.